Learn how to effectively utilise common digital marketing tools designed to help you stay connected with your existing clients and start relationships with potential clients, and expand your reach by starting to accept digital payments. Whether you are operating a micro-business from your garage, a small retail store or a medium sized service company, you are welcome to join us for any or all of the workshops in the Digital Literacy series. Each workshop will focus on a specific digital tool, that you could use to better understand and communicate with your new and prospective clients. In addition to a theoretical session to discover the purpose of the tool, each workshop will also contain a practical hands-on session to implement the tool. Each workshop will be repeated (morning 9-11am & evening 6-8pm). If you have a laptop, bring it along to the session, with the charger, and any usernames and passwords you need to access your social media profiles and website/s. Joy has been recognised as an Advance Queensland Community Digital Champion as a result of the work she is doing to support entrepreneurs and small business owners to grow their businesses in regional Queensland, through learning how to make the most of the online world. 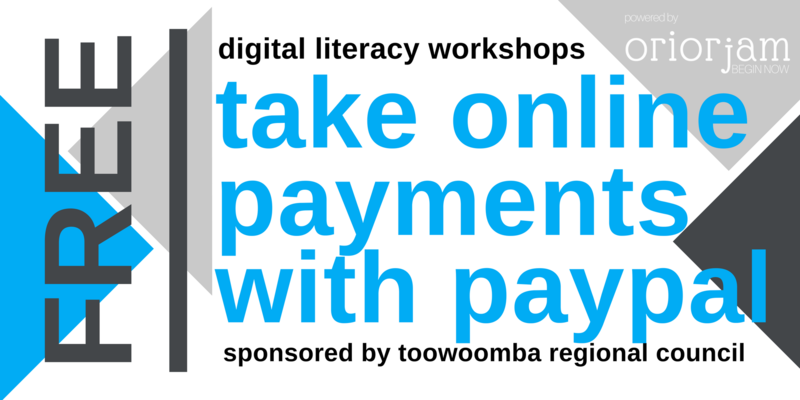 Workshop Partners: All Workshops are FREE, thanks to the support of the Toowoomba Regional Council.